To see the Colne Valley Boys website click HERE! “It is new, exciting and guaranteed to set the town’s music community buzzing. 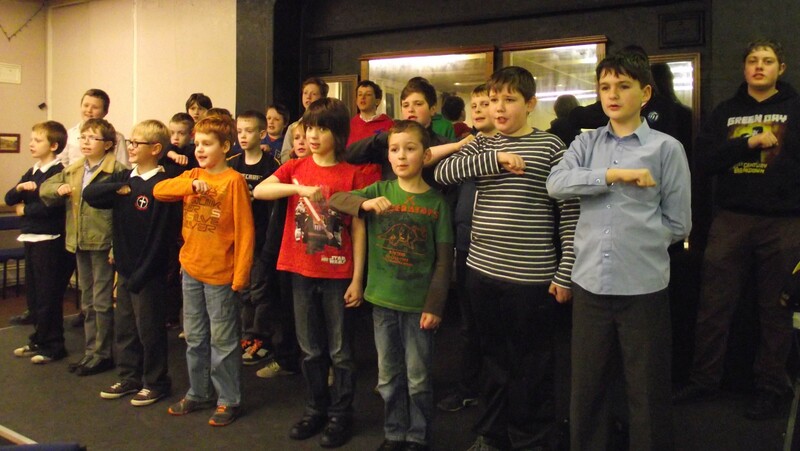 Colne Valley Male Voice Choir, one of the region’s top vocal ensembles, is starting a choir for boys. And they’ve already got their new choir’s first engagement lined up. Few will be surprised that one of the driving forces behind Colne Valley Boys is Thom Meredith, Musical Director of Colne Valley MVC, former head of Music at Colne Valley High School and currently Principal of Kirklees Music School. This week, Thom and some of the male voice choir’s singers have been touring 18 of the primary and junior schools in the Colne Valley giving youngsters a taste of what fun music can be.